Working with children with childhood apraxia of speech (CAS) can be overwhelming. Even the most experienced clinician can be challenged by the intense needs of this diverse population. This webinar will provide highly motivating strategies and activities to help establish target sounds and motor plans. Activities will also be shown that address suprasegmentals in order to improve overall speech intelligibility. 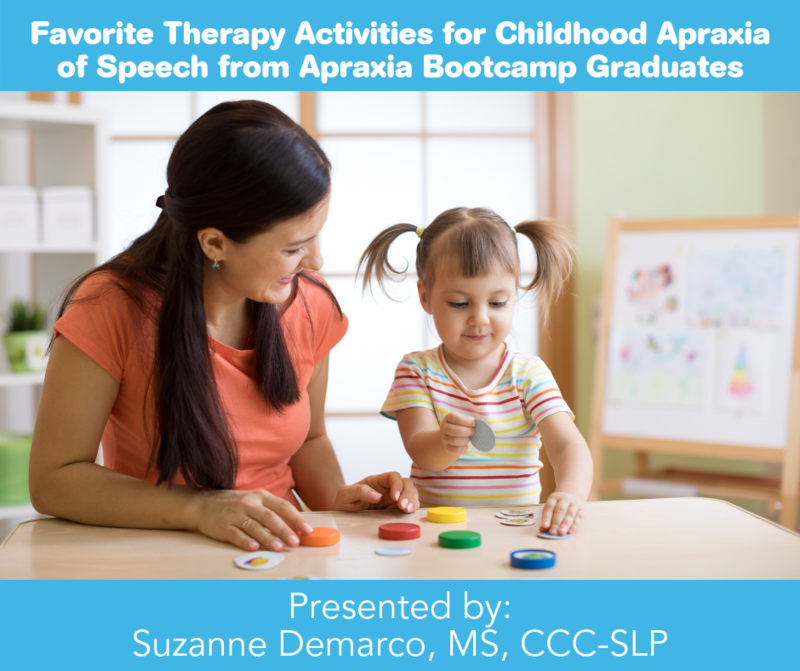 This webinar will share the evidence-based, “tried and true” therapy techniques of the experienced clinicians who have graduated from the Apraxia Kids Intensive Training Institute on CAS.